This was posted on the official Call of Duty Facebook page. 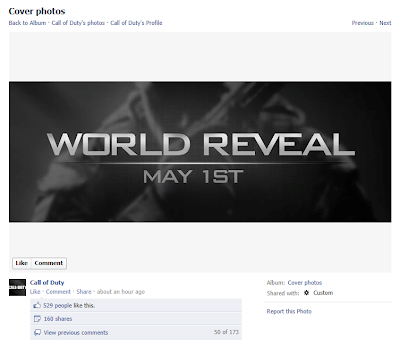 Looks like the next Call of Duty game will be revealed on the 1st of May (this year). That means that in seven days time, we'll probably get to see the teaser trailer for Black Ops 2. Notice how the image seems to follow the same type of design as the poster that was leaked last weak.